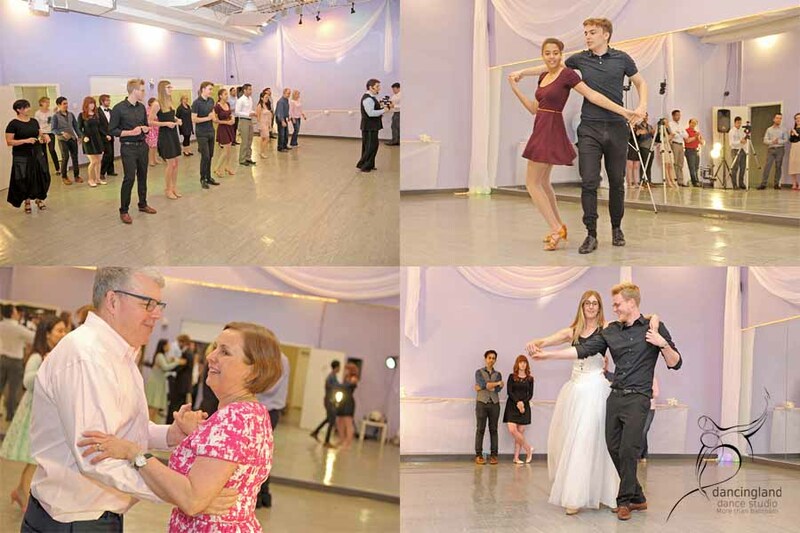 Here in the dance gallery you will find a collection of pictures gathered from various classes, parties, charity events, showcases and ballroom dance competitions. 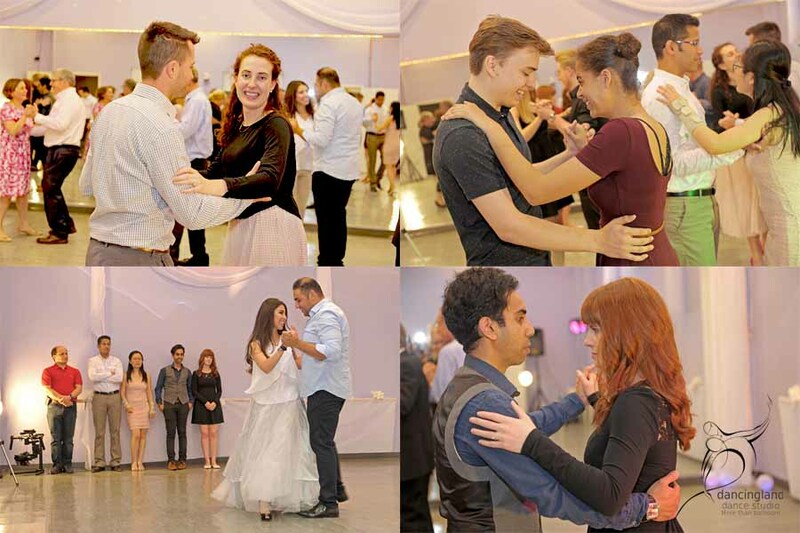 I have greatly enjoyed meeting and guiding all my students through their own personal dance experiences, whether for the purpose of having a unique wedding First Dance or for social dancing and fun. Many of these lovely people still remain students to this day. 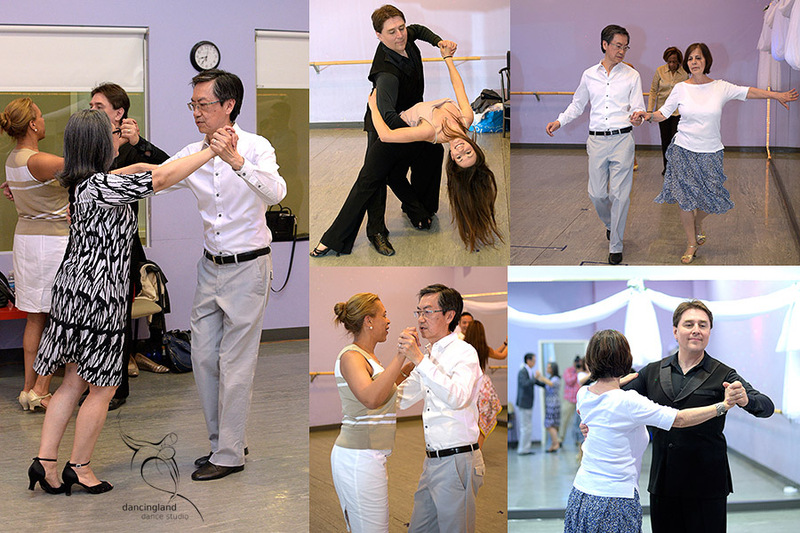 I have the pleasure of watching them improve their dance skills and techniques. I am grateful for the amazing opportunities I have had to watch them all grow. Thank you all! Thank you my friends for joining this event! 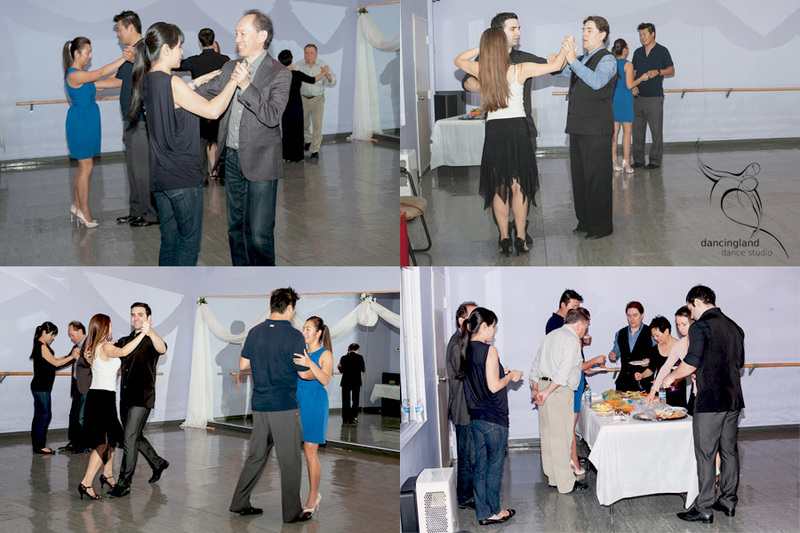 This was a very good party with lots of dancing and practice. 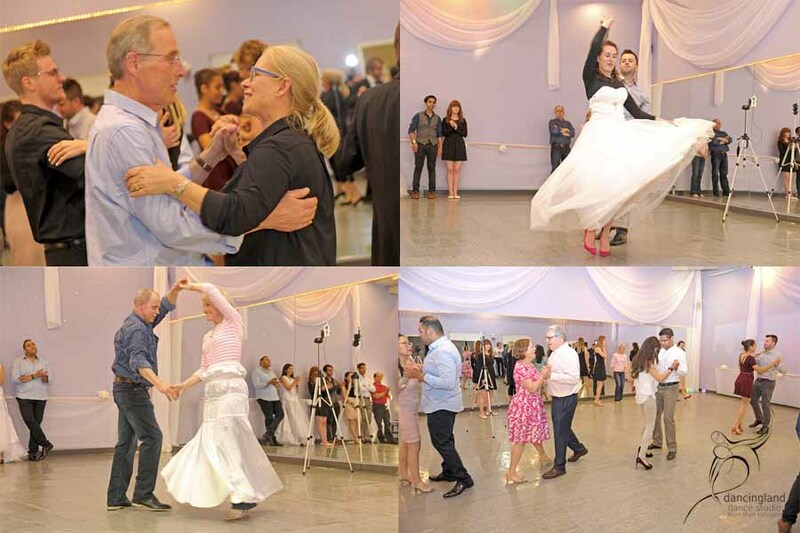 We enjoyed some wedding dance performances from our wedding couples and then had a great evening afterwards socializing and having something to eat together. Thanks to all for the delicious home-made potluck! 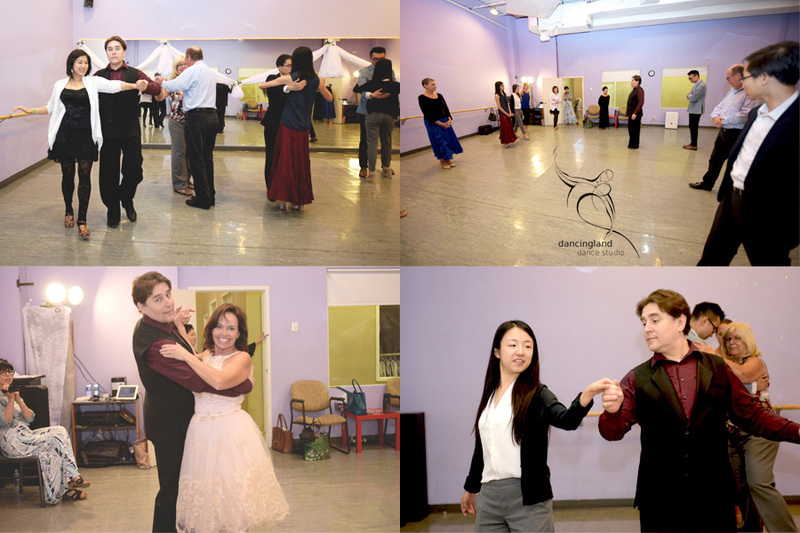 “This is the first time we went to a day of Ballroom Dance Showcase and the Megastars Evening that took place in La Park Banquet Hall. My husband and I had so much fun and enjoyment. 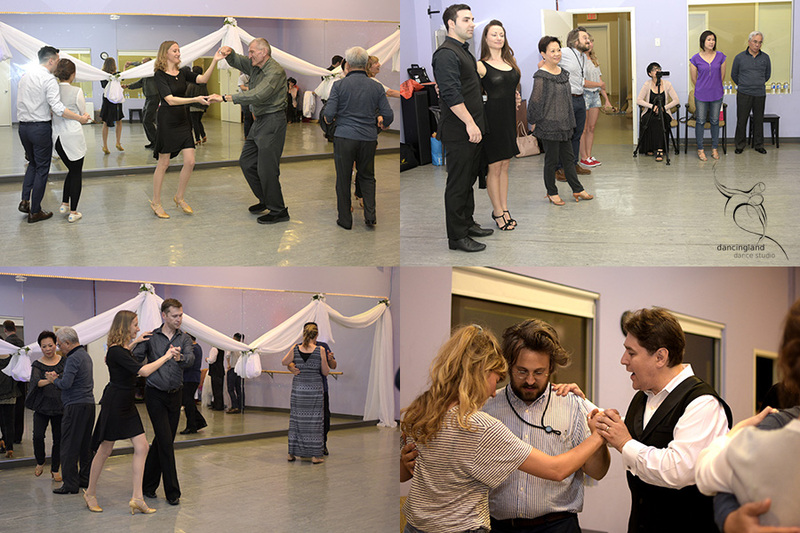 During the day we got to see our fellow dancers took turns showcasing their different ballroom dances. We were quite happy to be the spectators trying to absorb all that was happening. Everyone looked fabulous in the beautiful costumes. The dance couples seemed like they were having a great time dancing to the music of waltz, tango, cha cha,… and any dances in ballroom dancing. It was very enjoyable watching them all with different interesting routines. 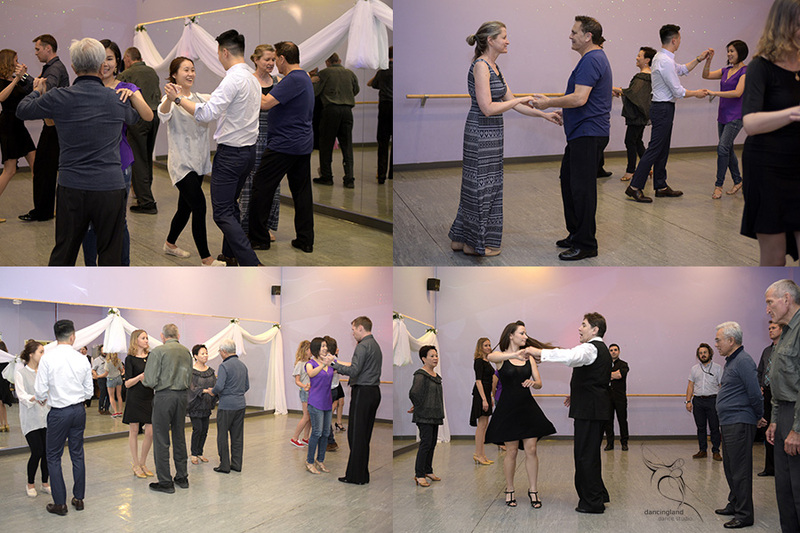 We find ballroom dancing is the right sport for us while we watched, sharing the sheer joy these showcase participants experienced. 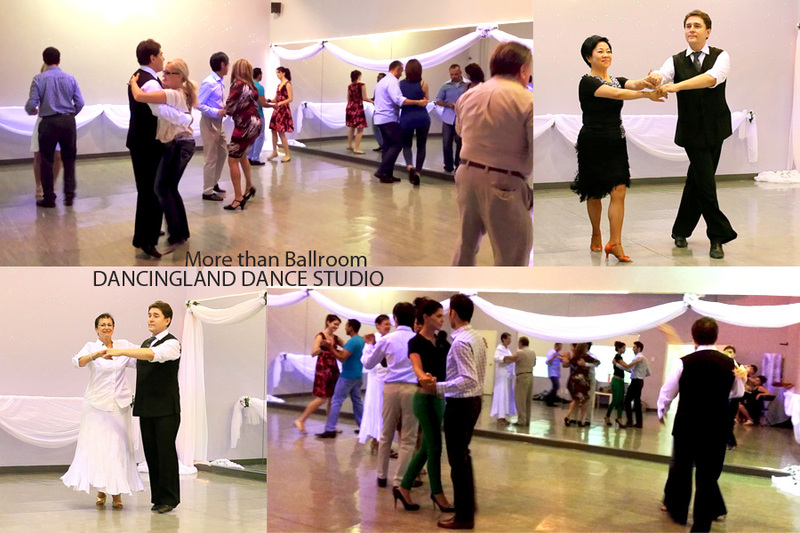 In the evening, there were hundreds of guests who came to see the super stars in ballroom dance performances. Everyone dressed up for the occasions. One could certainly sense this to be a happy affair. The atmosphere was cheerful friendly and welcoming. Before anything exciting happened, we were served a wonderful sit down 4-course dinner by a group of accommodating, efficient and classy servers. It was particularly fun for us because we were dining with good companies. 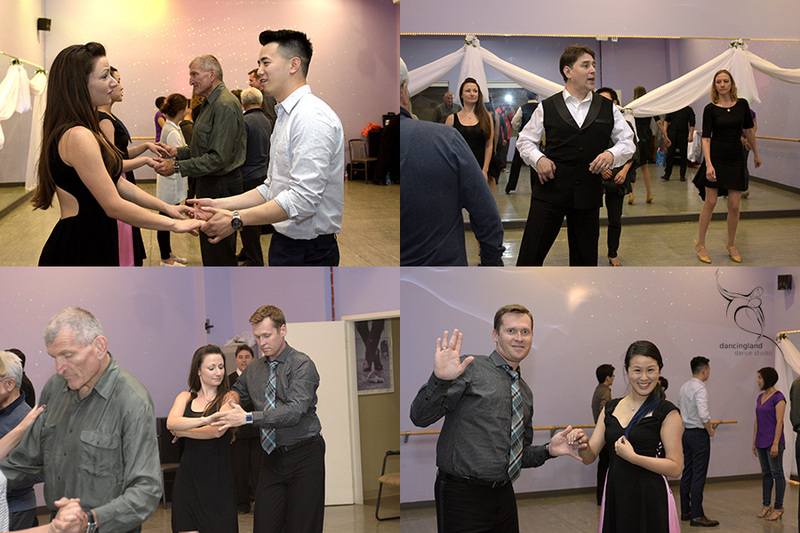 After plenty of good food and laughter, we all got excited to go on the dance floor to try get rid of a few ounces in between performances. Really not that anyone needs to get in shape except the two of us. The highlight of the whole evening or should I say the climax of the whole day that everyone was waiting for was to watch the exhilarating ballroom dance performances by the brilliant world champion couples that came from all parts of the world. The performances were excellent and mesmerizing. One would agree how extreme physical some routine were. It seemed gymnastic skills were applied in some stunning moves. Some were romantically moving. Others were unexpected and exhilarating. 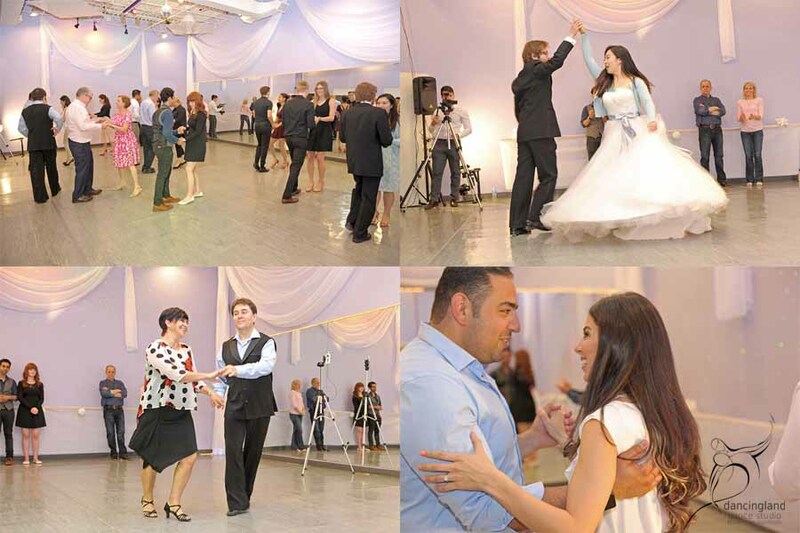 Brilliant dances took place one after another. They were just breathtaking to watch! Of course theses were champions of champions. Some were many times over champions. Excuse me for unable to list their names and the world recognized competitions for we are so green in the field and so dazzled by it all. 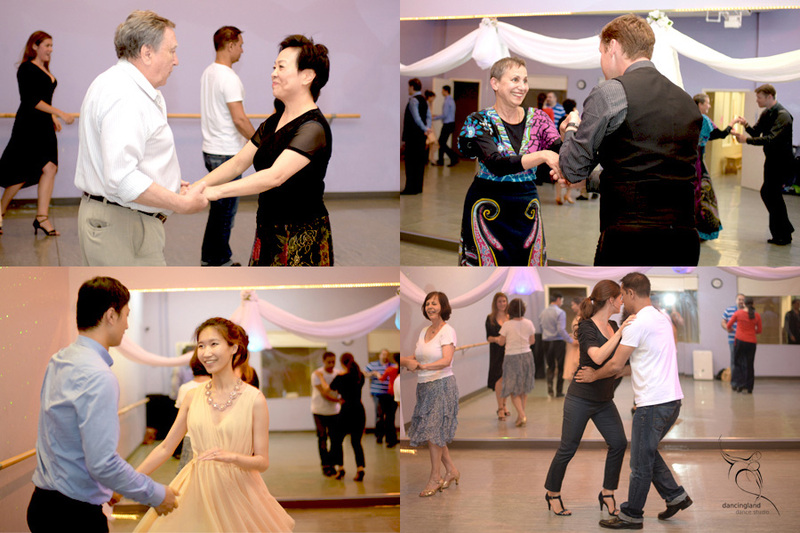 We are also grateful that our dance instructor George Kastulin introduced us to this great event. We feel privileged to witness such supremacy. 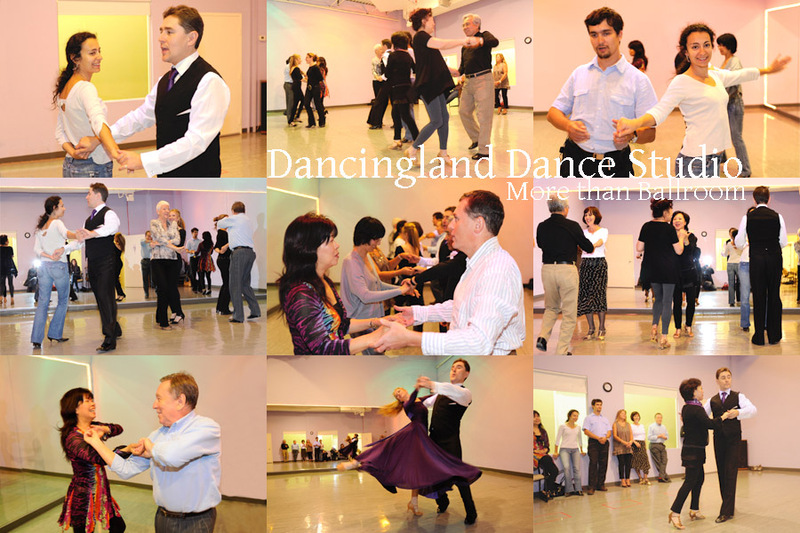 “George prepared my participation in the March Showcase so that even as a novice, I could dance well, learn more, look the part, appreciate others and have fun. He took care to ensure I knew what to expect and continuously let me know that he knew the excitement and stress would be fine, and part of the process. 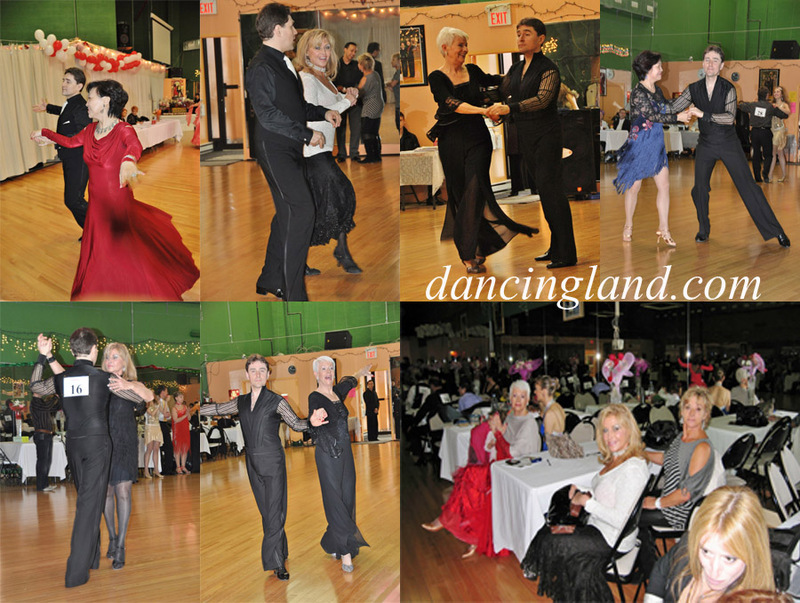 From dresses and shoes to ballroom etiquette, I learned so much about ballroom dancing and me. 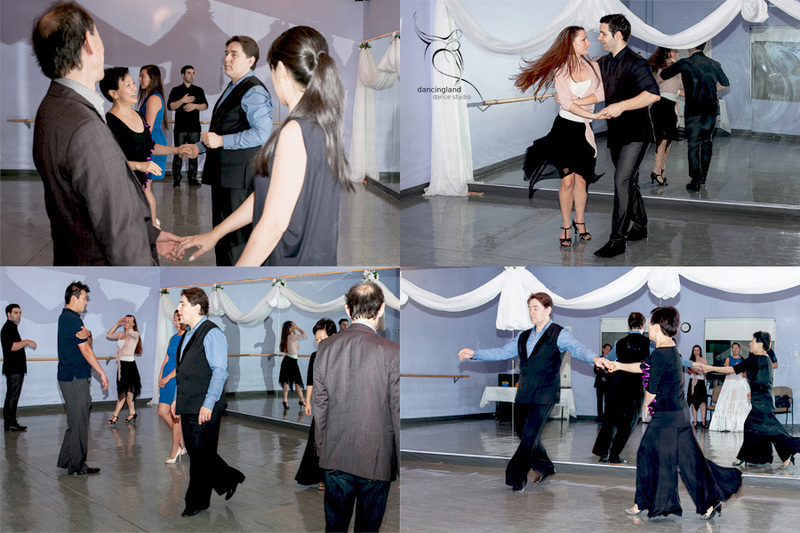 As a Student of ballroom dancing this event was a terrific leap for my education, as dancer and audience. I started the day watching the children strut their dance in the showcase; full of fun and style these young people were so wonderful to watch. And the icing on the day was the evening show. 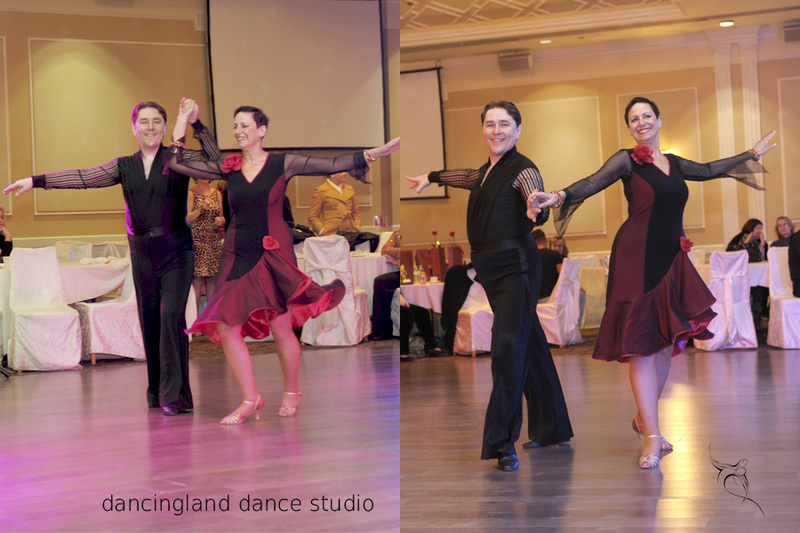 The audience was enthralled with the beauty, expression, costumes and skills of world ballroom dancing champions. I asked George what would be best to watch, to learn, as there is so much to see. In his wise and humorous way he said, you can learn so much if you watch Aruna’s right foot – toe heel toe heel, and then, watch her left. George said it would be special and he, again, was right. It was a day and evening to remember forever. This was the first party we’ve had in a while and everyone was excited to jump right back in! 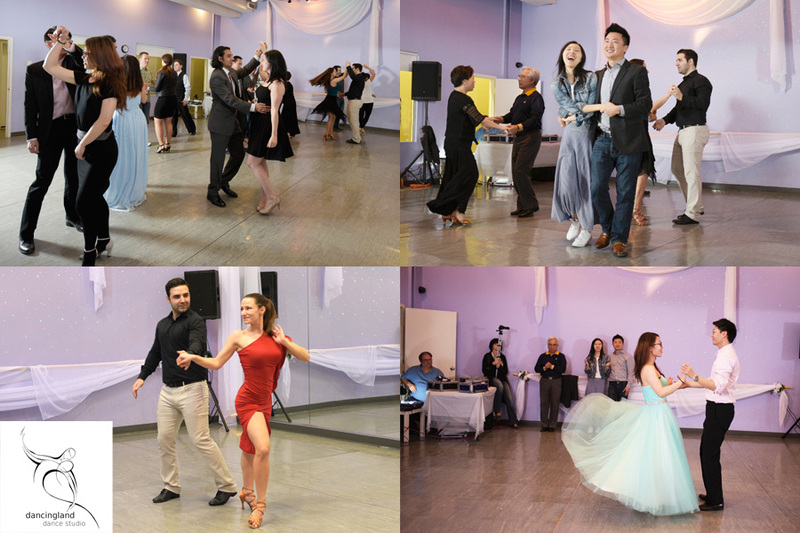 Whether it was learning to dance or showing off awesome dance moves, we all had an awesome evening of energetic fun on the dance floor. 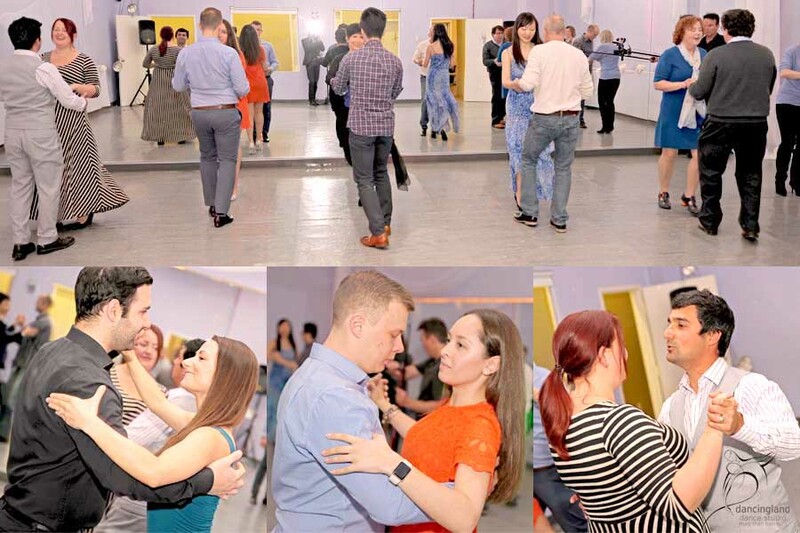 We practised Waltz, Foxtrot, Tango, Rumba, Meringue, Salsa, Swing and Cha cha, switched partners and then danced some more (couples are always encouraged to change partners to get a feel for other leaders or followers but of course couples who like to dance together are never pushed into separating. 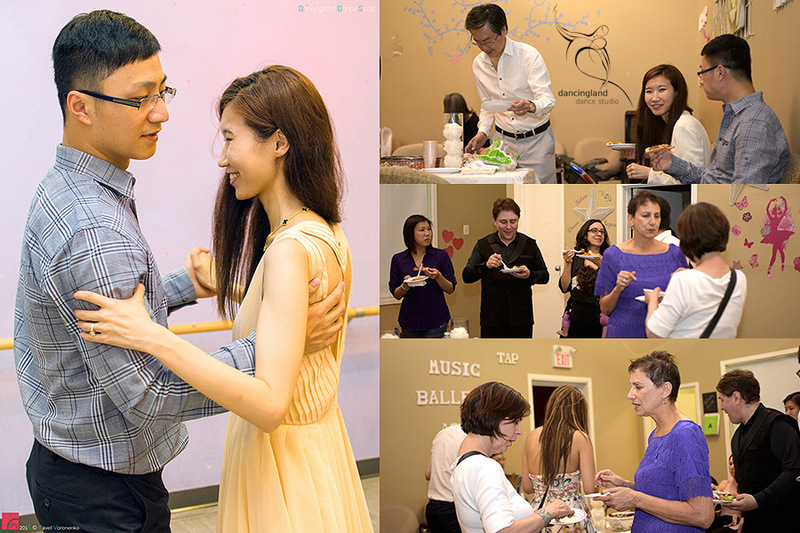 We want everyone to enjoy the evening and just unwind, absorb and have fun!). We then moved on to one of our more exciting parts of the evening: the dance showcases. 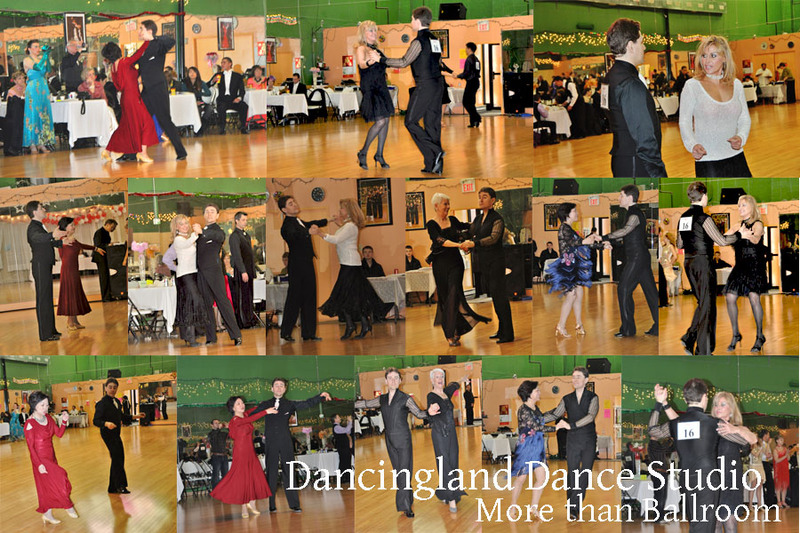 This is always enjoyable for dancers and spectators alike. 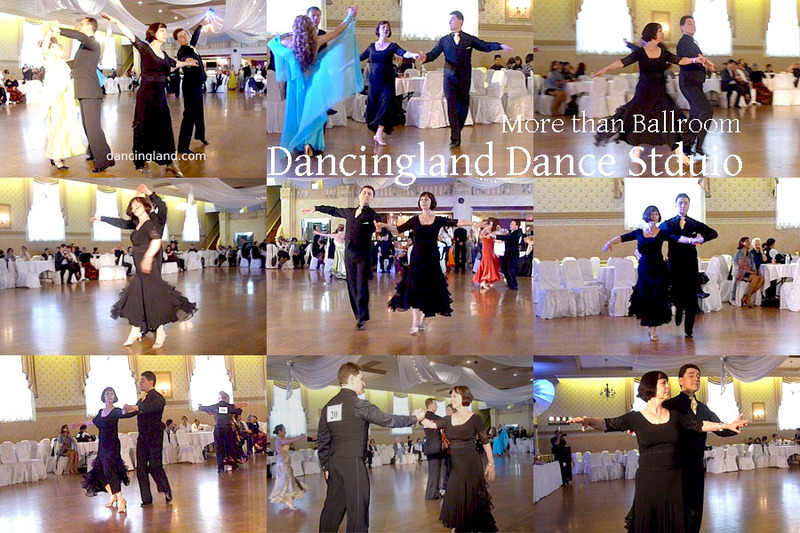 On the one hand the audience gets to see how hard work and practice translates into a beautiful spotlight moment for the dancing couple and on the other hand the couple on the dance floor get to show off all their dance moves and get over their (if any) stage fright. 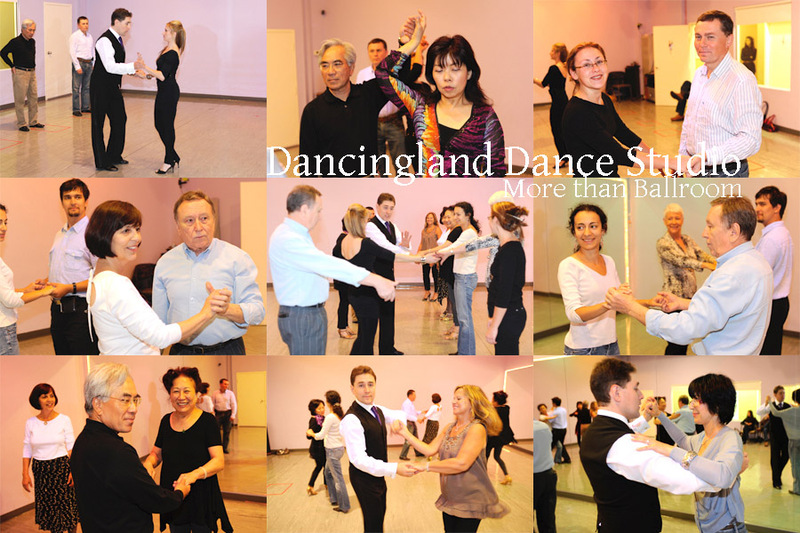 It is a great learning experience for all those involved as well as a chance to see how people progress over time. 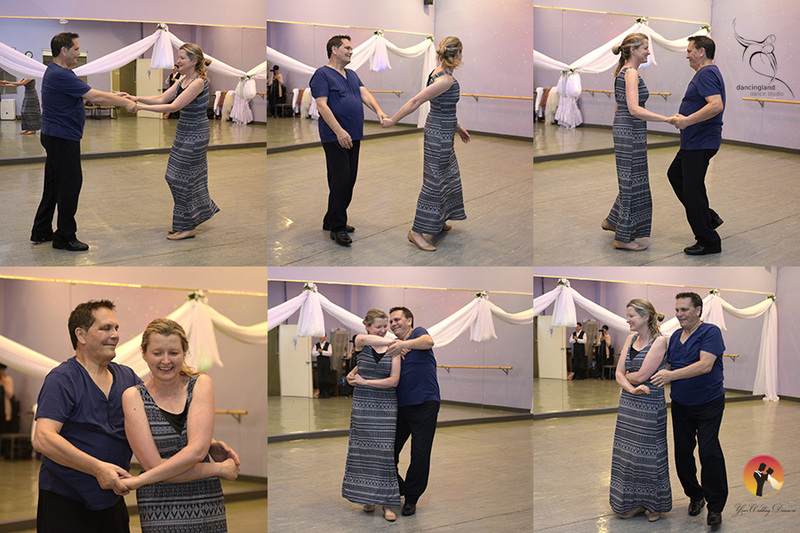 Anna and Leon who charmed us with their combination of Swing and Rumba in preparation for their wedding dance. 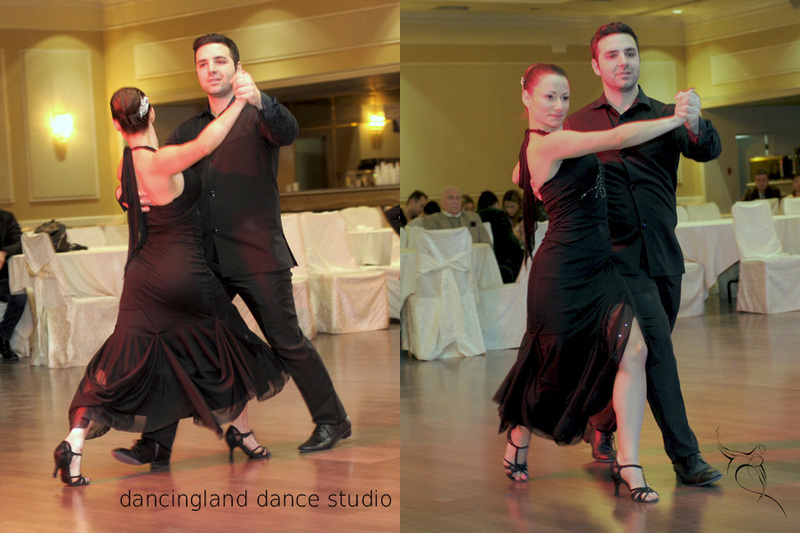 Miranda and David whose wedding dance Quickstep had everyone with wide smiles of enjoyment on their faces. 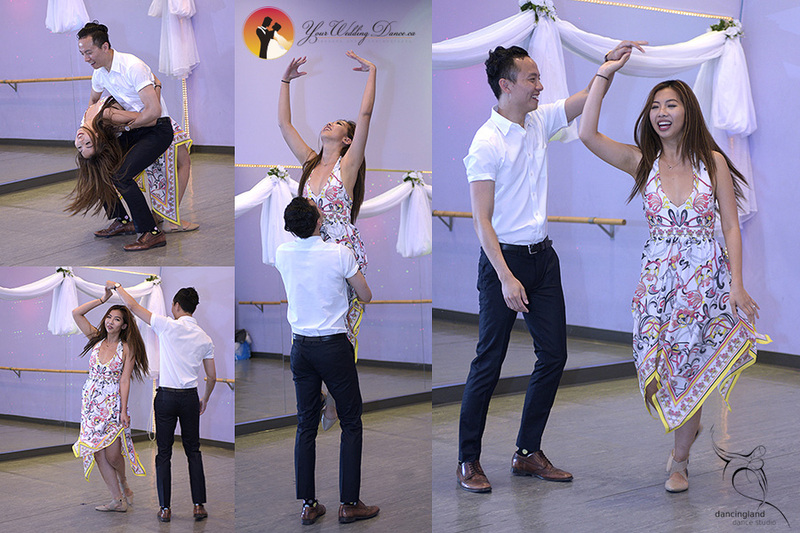 Last but not least Ludia with her teacher George showed off what years of love of dance and practice can offer a student. 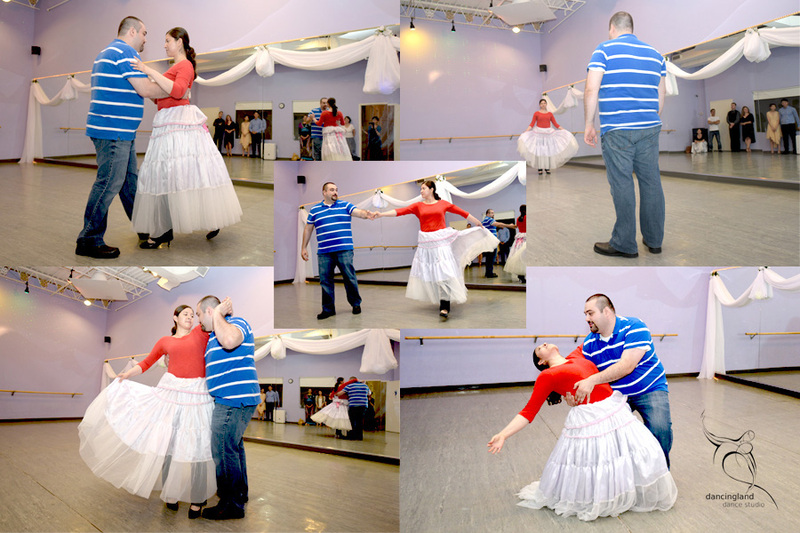 Ludia has been taking classes with George for many years and has become quite the dancer. 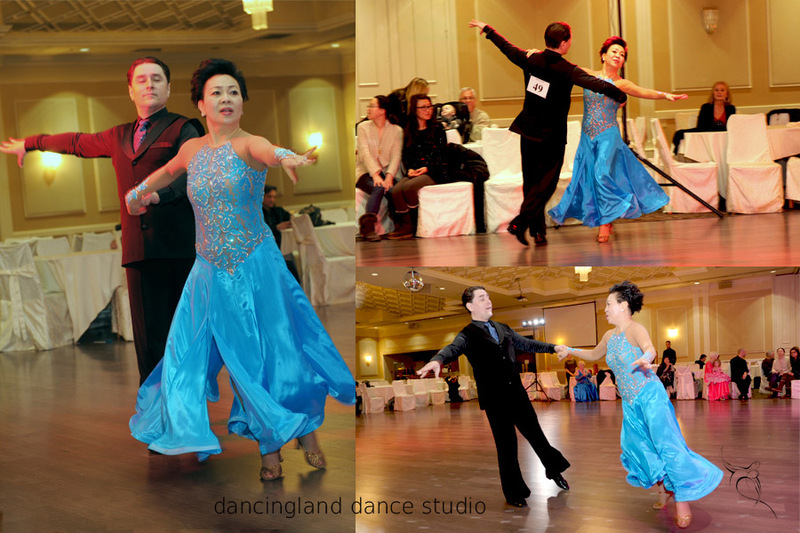 A special thanks to her for participating in the showcase and giving us all the pleasure of her dance experience with George. Finally we ended the evening with some delicious pot luck that everyone brought in, and as we like to surprise our students from time to time. Had some birthday cake (Happy Birthday Leon!) and got to know each other by winding down, relaxing and just chatting for a while. We would love to meet you all, you just have to be here first! Don’t be shy just come and join our fun little family, you are always welcome. 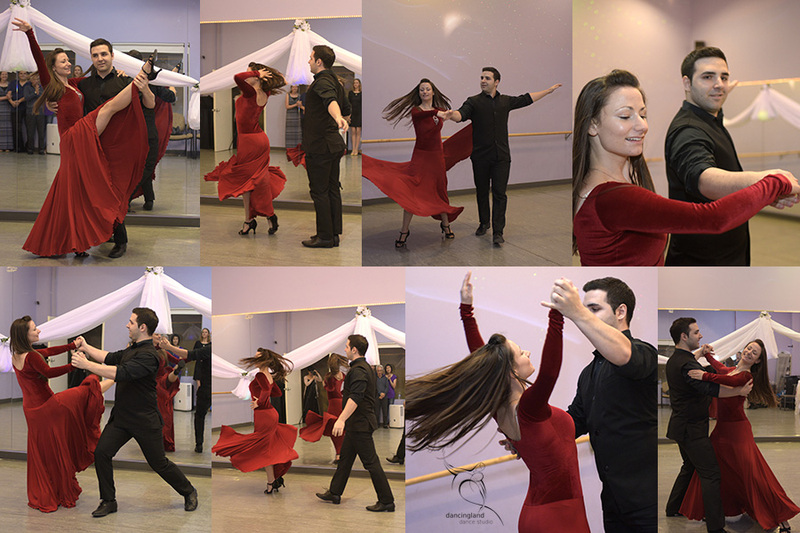 Thank you Bina for coming and taking beautiful pictures and video! 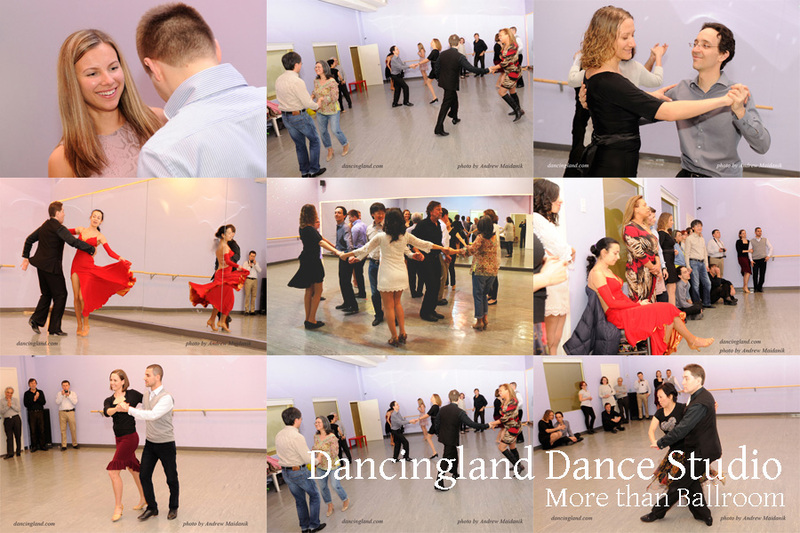 Congratulations to our students with good dance achievements! 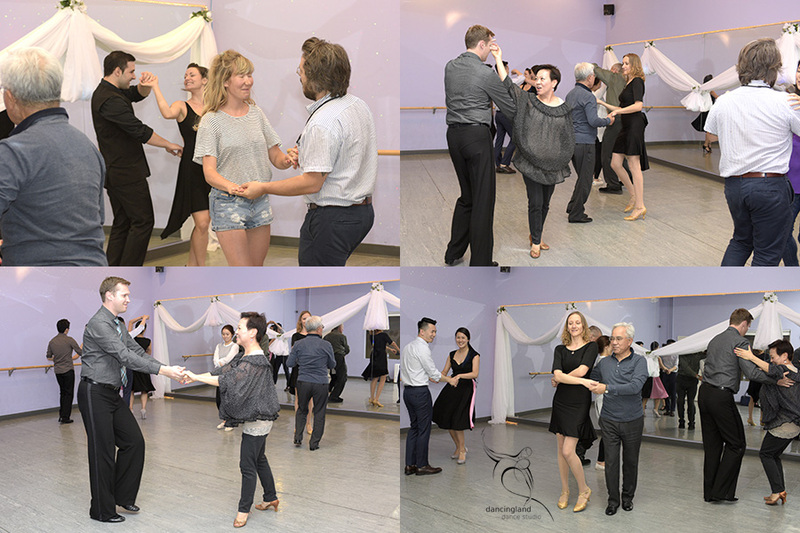 For the first time Simon and Francis presented their funky East Coast Swing! It was an exciting dance presentation. 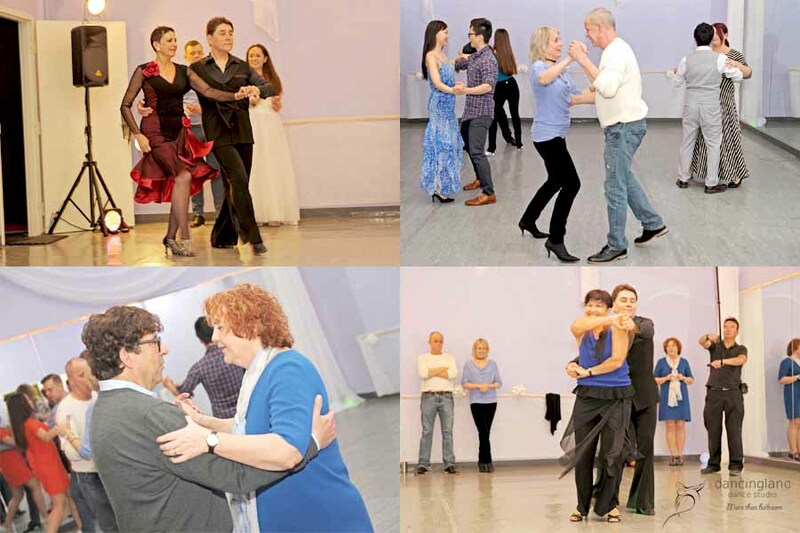 As their personal dance instructor I am proud of their achievement. 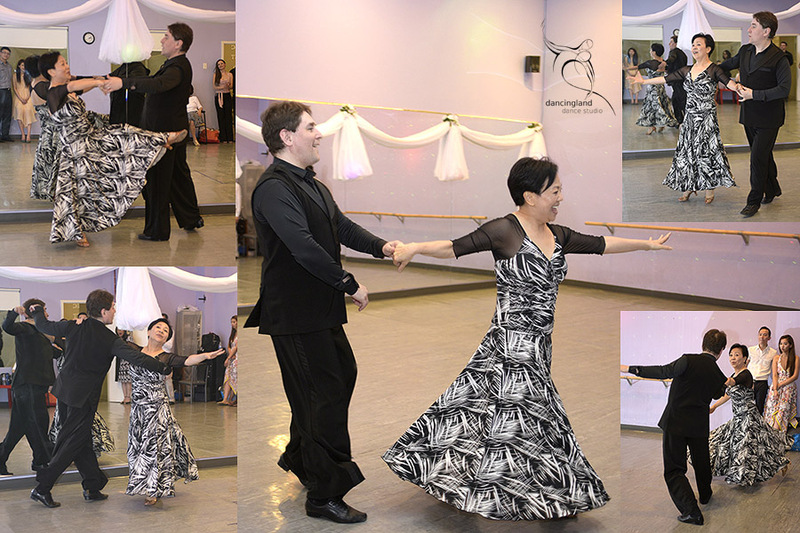 That was also the first time for Erald and Cortney to dance in front of an audience. 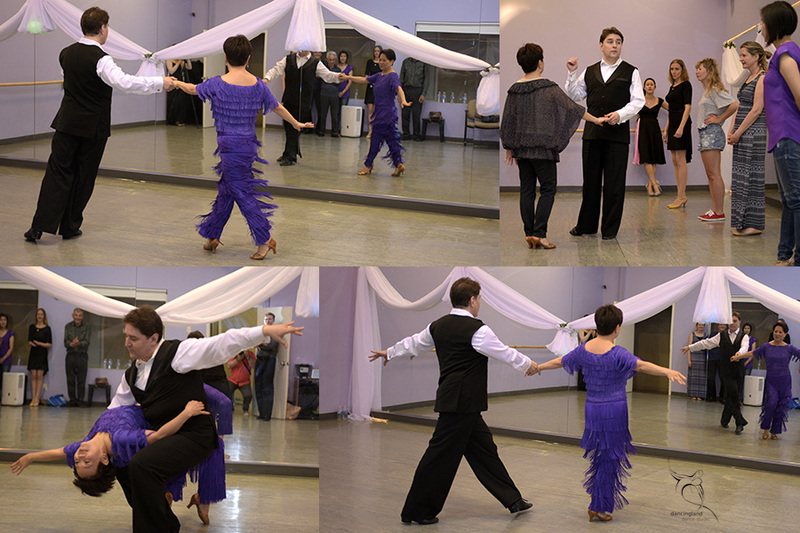 The dance they presented was American style Rumba. Well done! 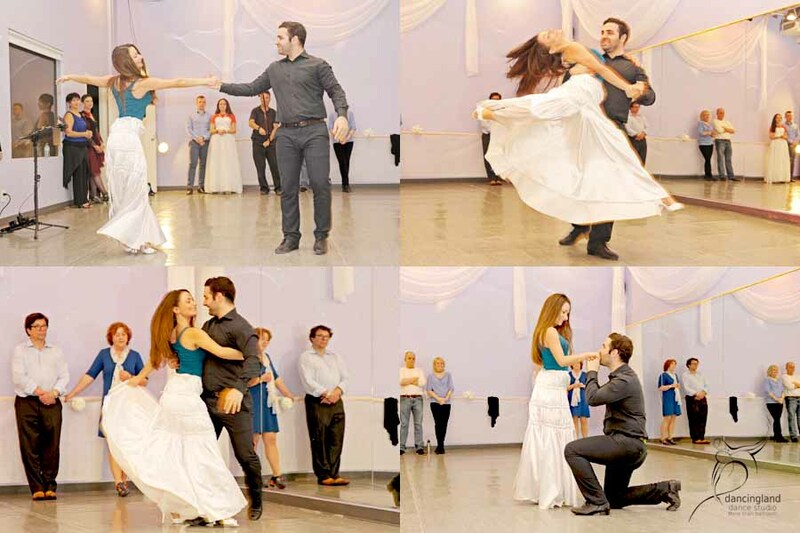 Anna and Dima presented their beautiful wedding first dance. This was a special treat for our crowd at that night. 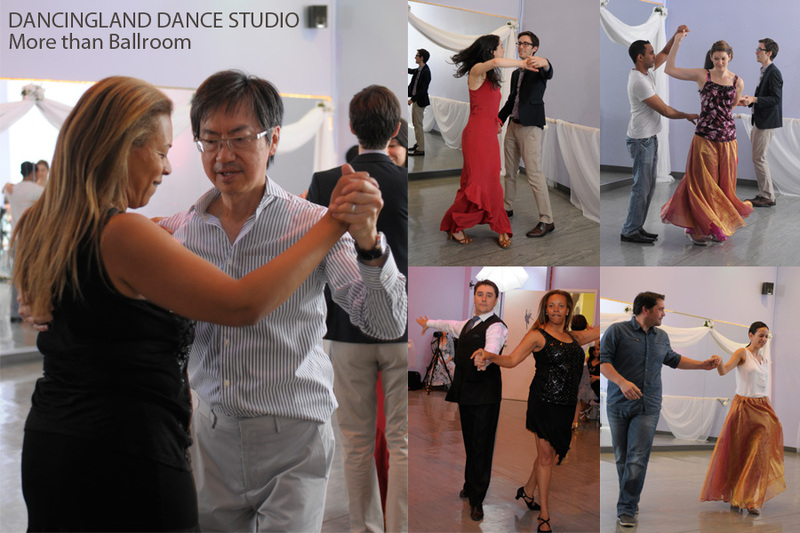 Thank you Ludia for dancing American style Rumba. It was a real joy to watch. Last but not at all least Inna’s performance of American style Foxtrot was splendid! 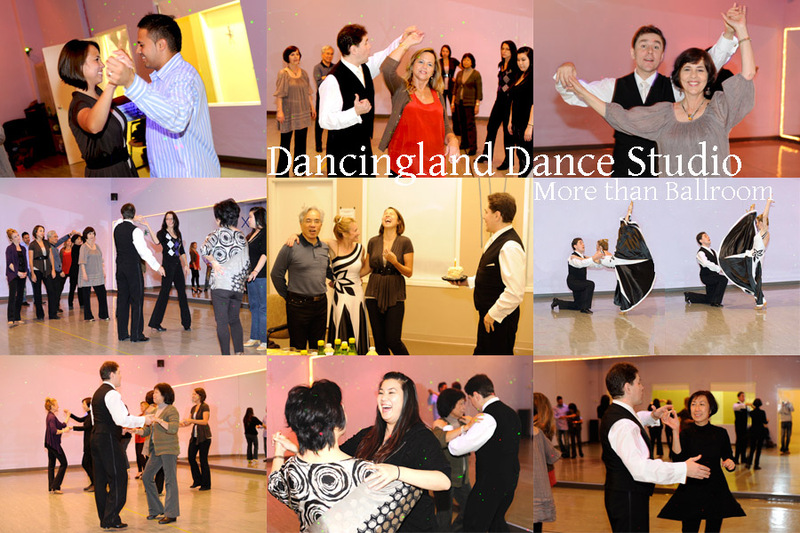 For more information on our Wedding Dance Program please visit our “yourweddingdance.ca” website. 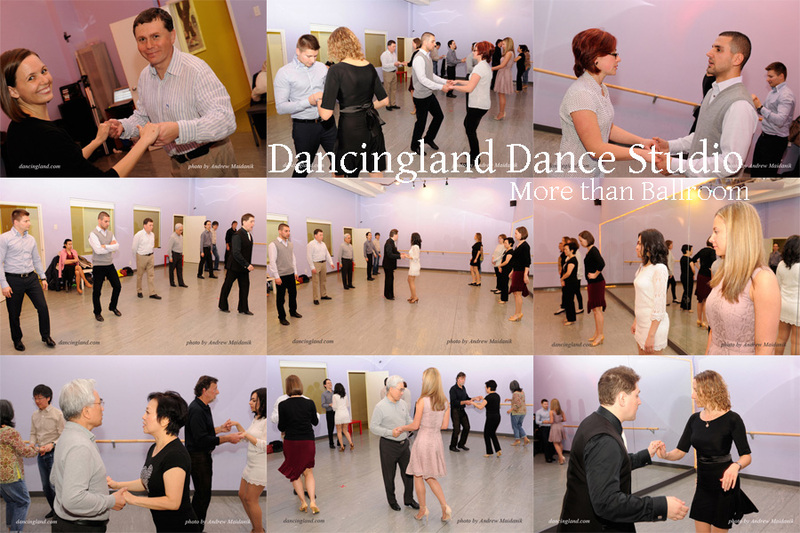 These are pictures of the Ballroom dance evening April 2013 at the Dancingland Dance Studio. 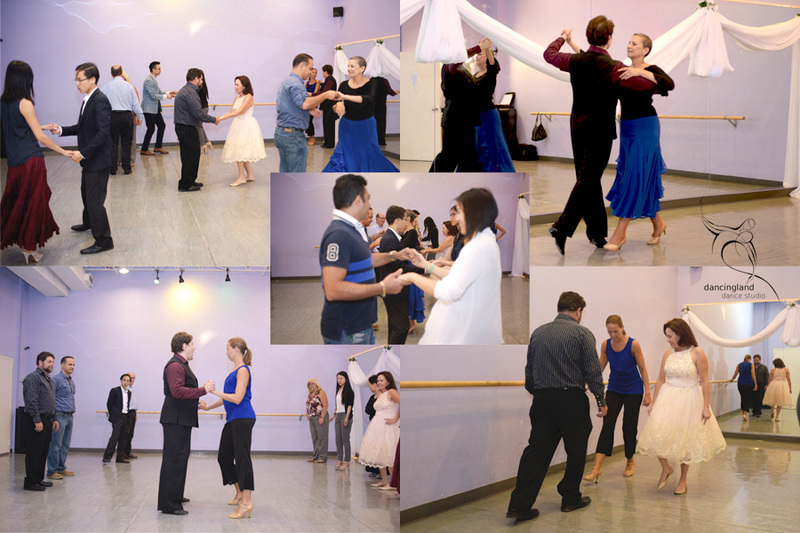 We had a great chance to practice our American style social Ballroom dancing with our friends. 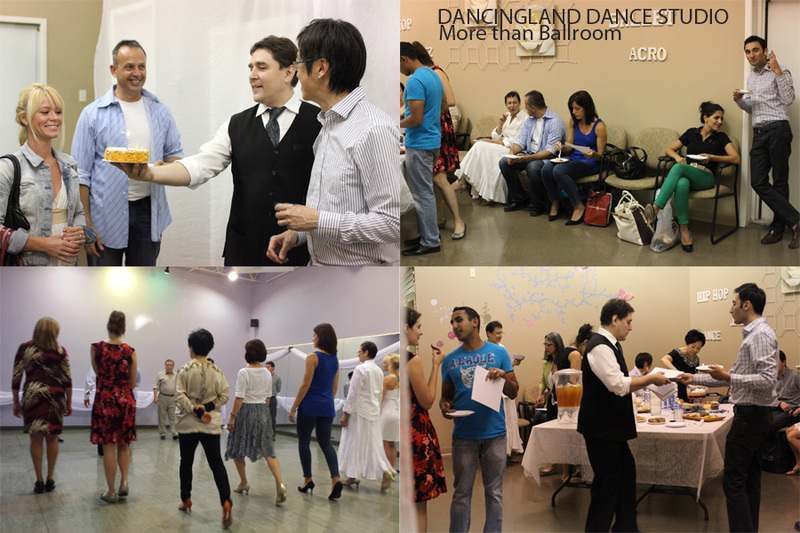 It is the time to meet fellow dancers and rekindle friendships. 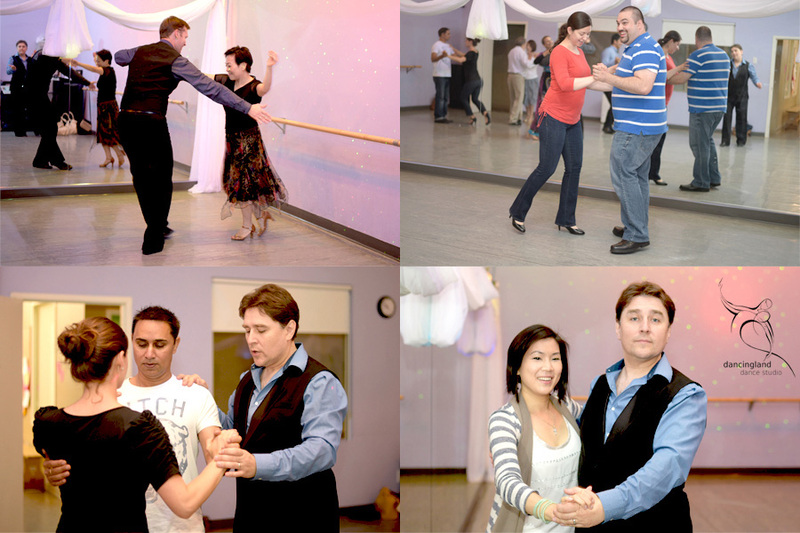 This was also a good time to see how we were progressing with our dancing. A great opportunity to practice our performance in front of an audience as well. Personally, I can see my own improvement in this area, being a shy person having “stage-fright”. I would try not to be the center of attraction. 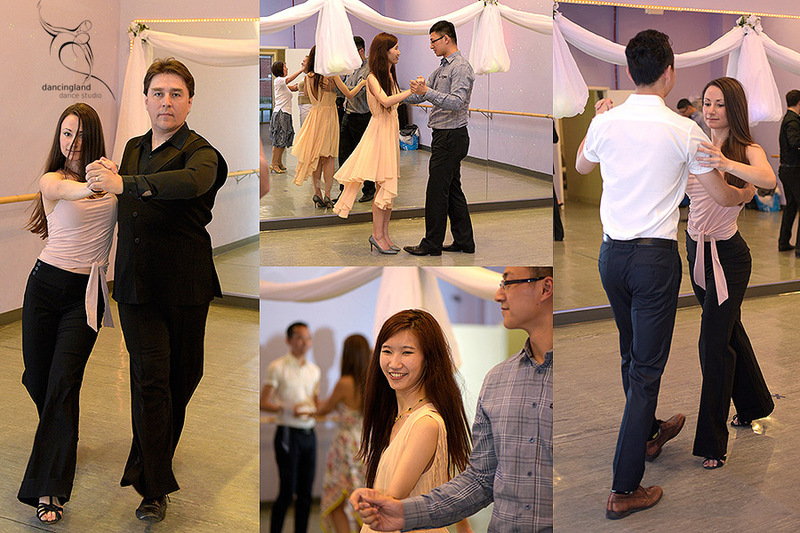 Anyway my ballroom dance instructor asked me to dance in front of my dance friends. I find myself gaining more and more confidence. Although I still am very nervous and excited whenever I have to perform. 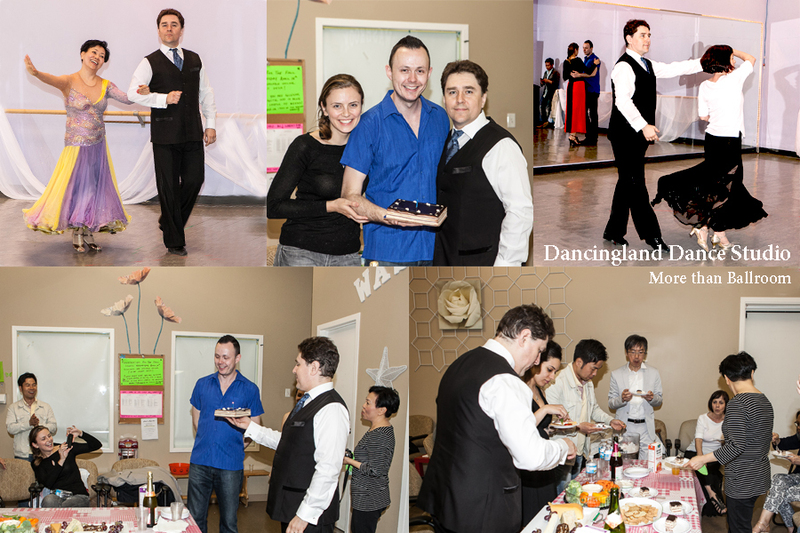 Lots of dancing, great people, tasty potluck! 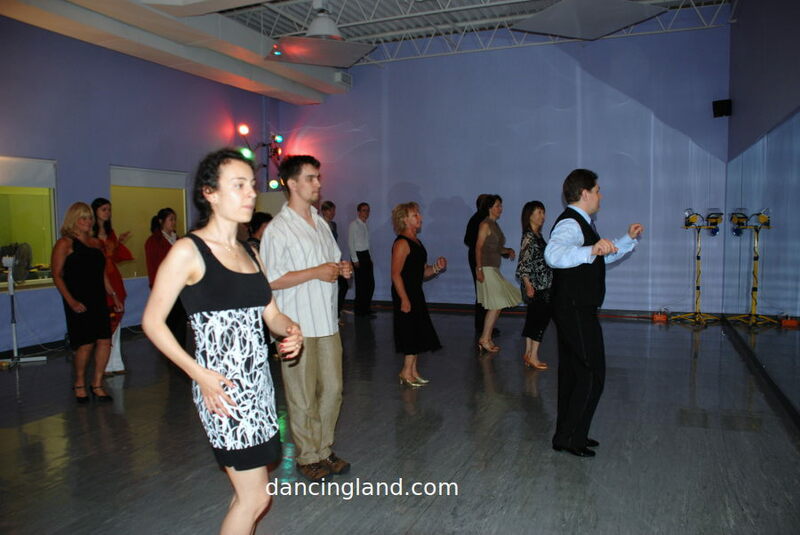 Each dance we start with a quick review of patterns and basic info. 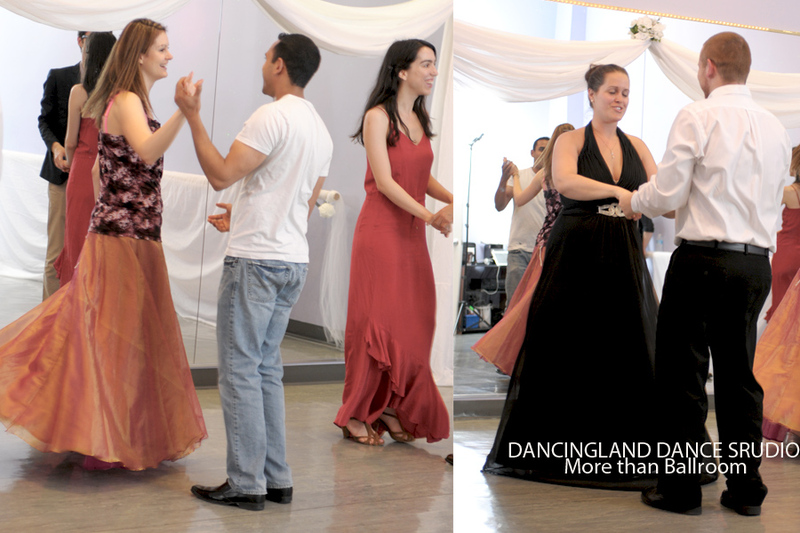 The best way to practice is by changing dance partners. Each person has a unique set of skills. 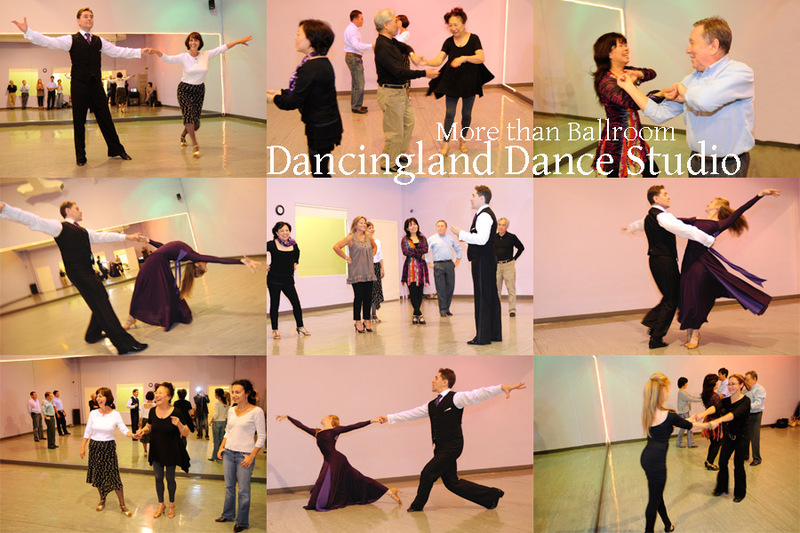 A big part of a dancer’s progress is performing in front of other people. 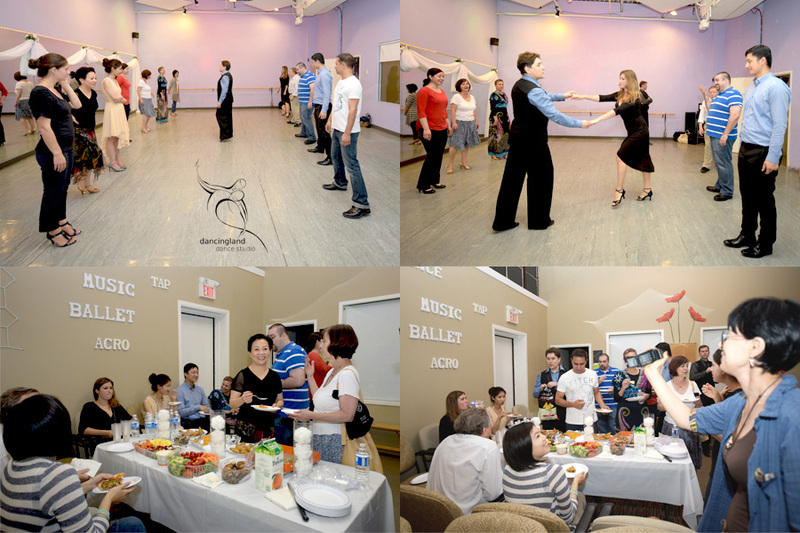 Sharing potluck has always been a good icebreaker in our dance studio environment. 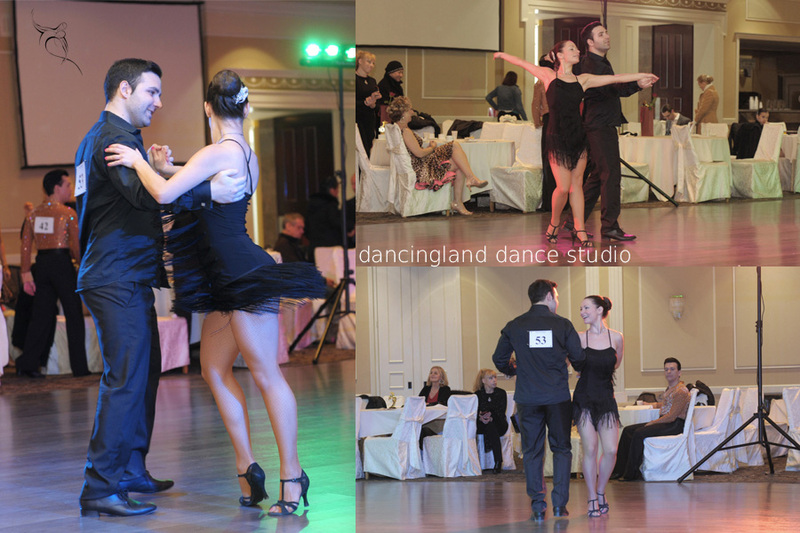 Thank you Rebecca and Inna for wonderful performance at the SUPER DANCE SHOWCASE 2012 April 15! 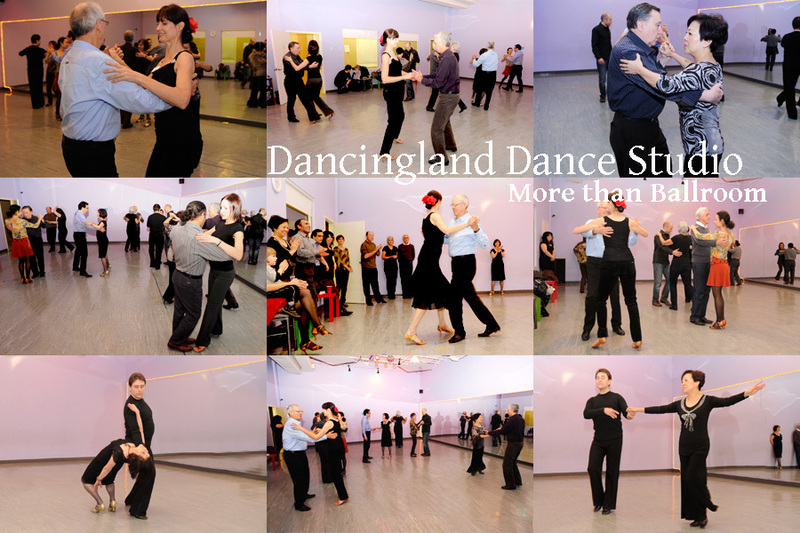 Thank you to everyone who participated, there was a lot of great dancing. 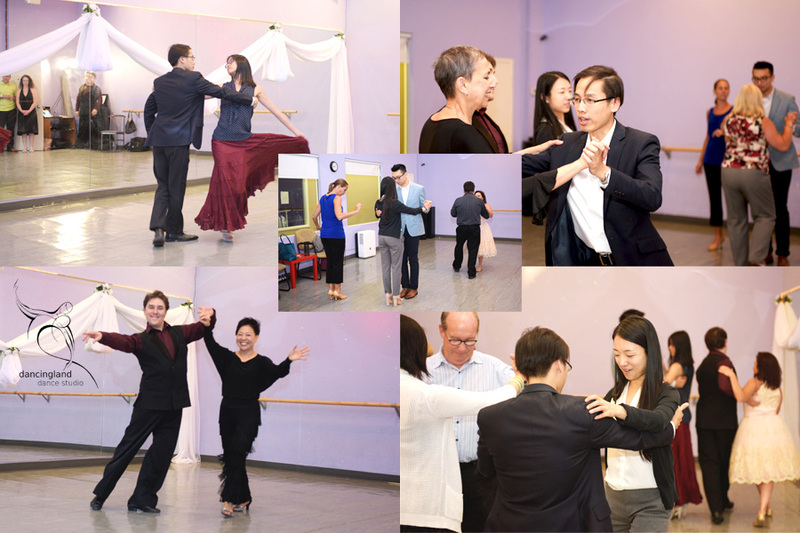 Special thank you to Daniel, Cary, Ludia and Rebecca for their nice dance presentations. 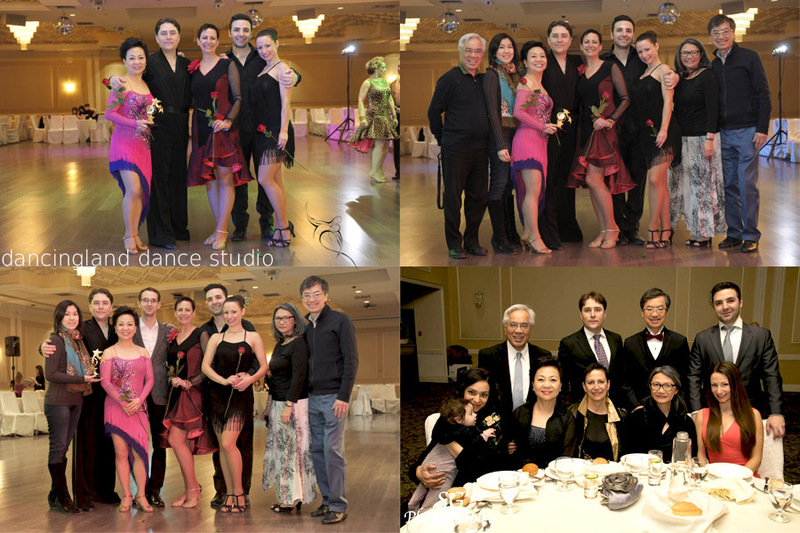 And welcome to the dancers from our “meetup” Toronto Ballroom Dance Social Group. It was perfect Pro-Am event! 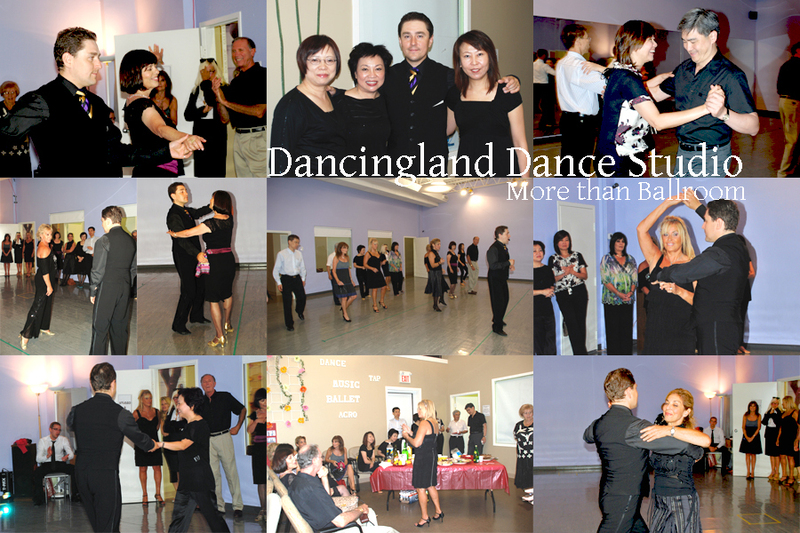 Thank you Sharon, Ludia and Ulla for good dancing and lots of fun! 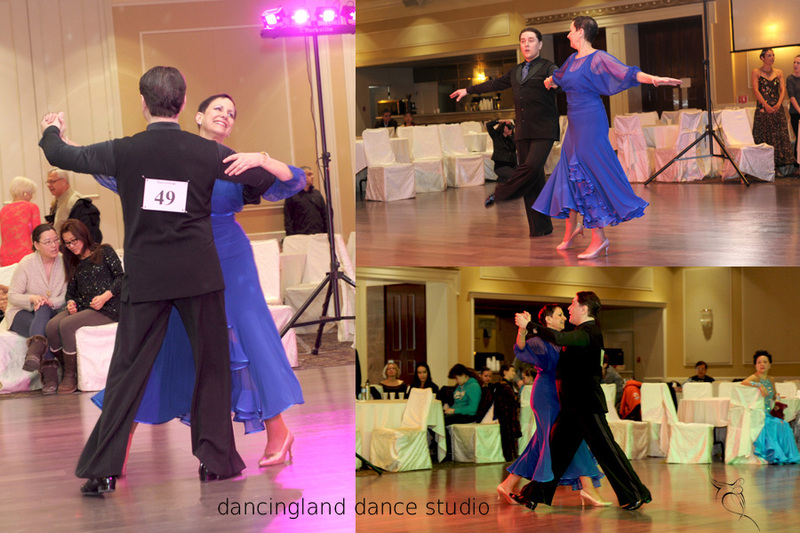 Sharon presented: Waltz, Foxtrot, Tango, Rumba. Cha cha cha, Swing. 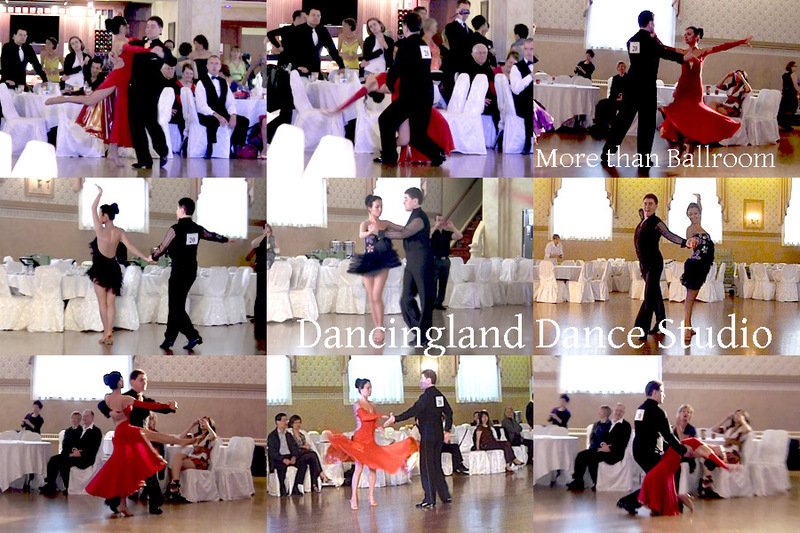 Ludia’s dances were: Waltz, Foxtrot, Tango, Rumba, cha cha cha. 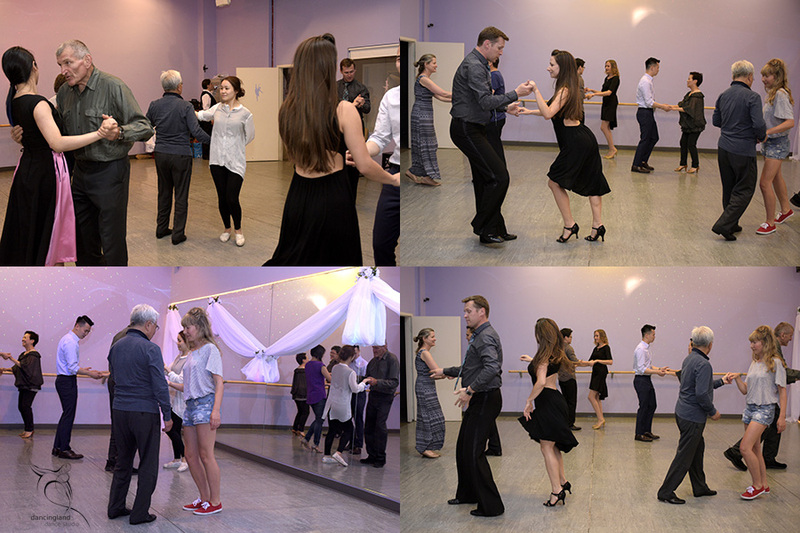 Ulla’s presentation consisted of: Salsa, Rumba, Cha cha cha and Swing. 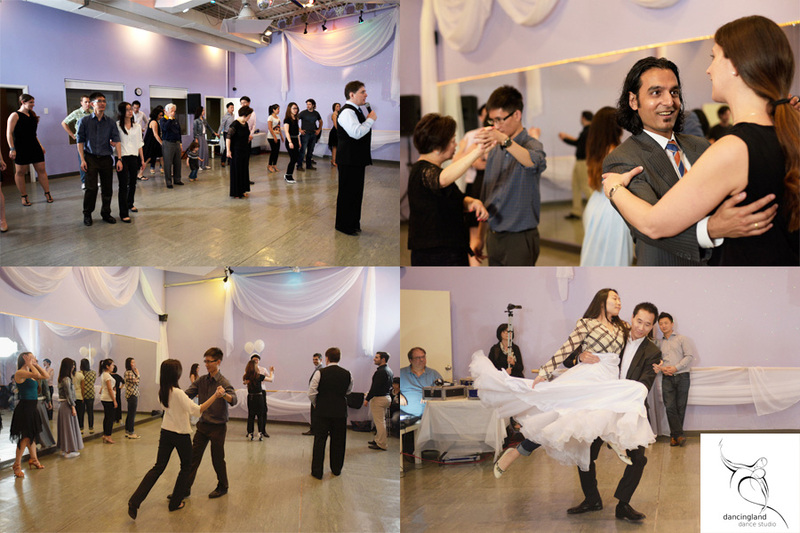 Thank you all for attending November Ballroom dance Party! 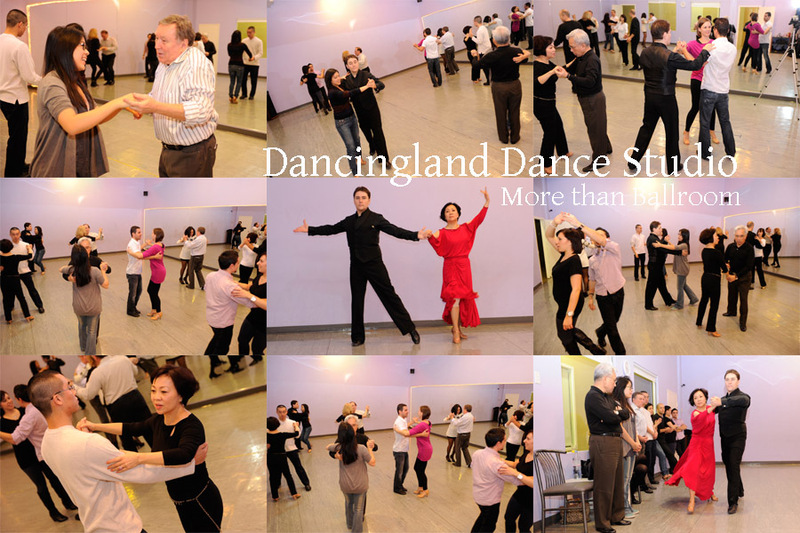 We all had a wonderful time and learned a lot of new dance moves. 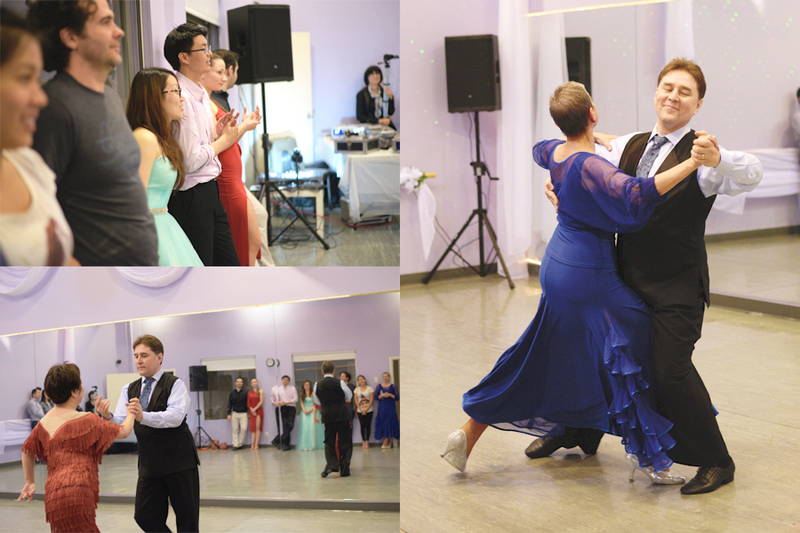 During this party we reviewed the social ballroom dances: Waltz, Foxtrot, Tango, Rumba, Cha cha, and Swing. We also shared a line dance. As always we enjoyed the spotlight dance presentations. Thank you Ludia and Joanne for your nice dancing! We ended our evening with some potluck and celebrating birthdays of the month. Thank you Andrew for taking these beautiful pictures. 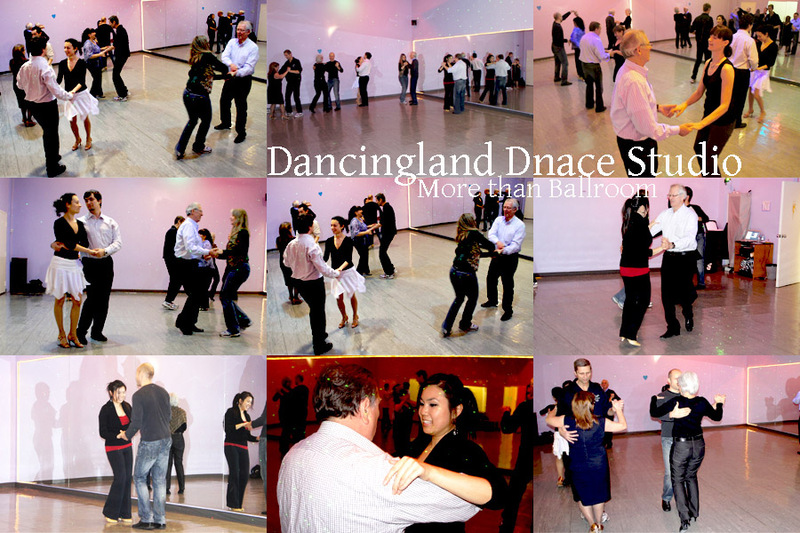 dance parties of September and December 2009 are one of our first parties. Rebecca showed off with cha cha. Thank you Sharon, Ludia, Rebecca and Marilyn for nice performances! And potluck was delicious as always! Thank you to my friends, students and family for supporting this event!